Unknown8:07 AM 0 sweets for free! It's the month of love, and what better way to celebrate than to enjoy good food with your significant other/loved ones? 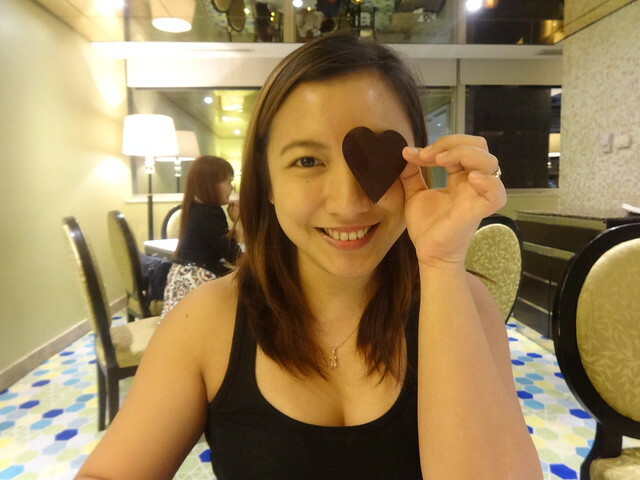 Matt and I tried out the Valentine's Dinner at The Terrace at Maxims. 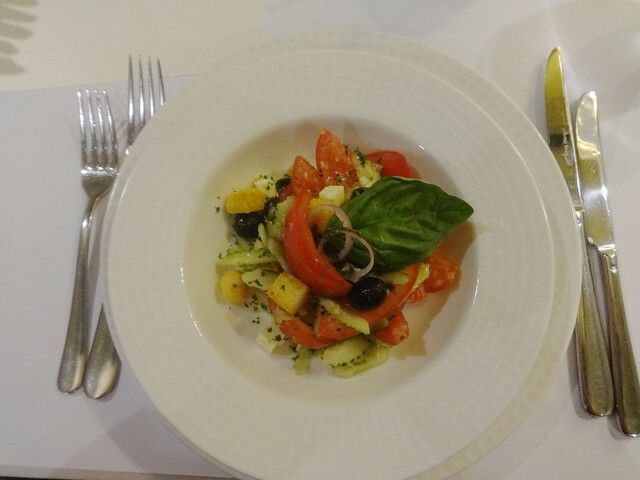 For a fixed price of P2,000 per person, you get to create your own 4-course dinner by selecting one item per course. You also have the option to pay a consumable amount of P3,000 and eat as many of the same dishes as you want, for example, for P3,000 you can just order the main course and dessert. Yaye for choices! For either choice, you get to have an Amuse Bouche with toasted baguette slices with assorted dips: Hummus, Baba ghanoush and Tapenade. Chef Ben of The Terrace greeted us and enlightened us about the different dishes he was about to serve us. He explained to us that rather than drowning the food in sauces and spices, he tried bring out the flavour of each and every ingredient on their own. He explained that if they just used a lot of sauce and spices, you are just going to eat a very cheap meal drowned with the flavour of the sauces and not fully appreciate the different flavours you get out of each ingredient. I highly appreciate this, because I myself only use sauces and spices when it would enhance the taste a little, but not drown its entirety - if so, then I would just have to pay and eat for gravy. Our dinner started with the cold soup first. 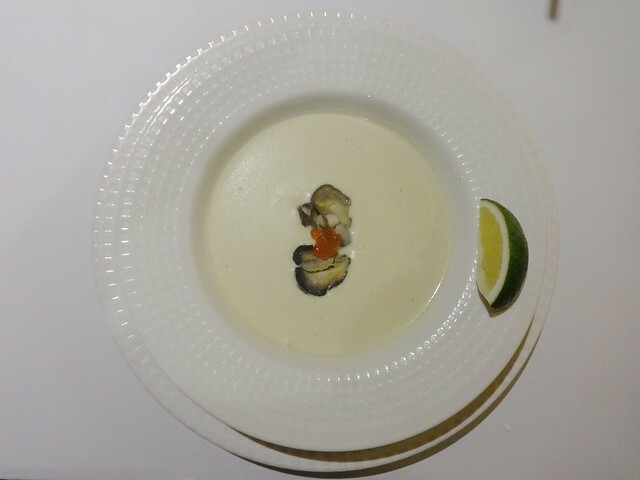 Cold soup is not a popular choice in the Philippines, but we went ahead to try their Cold Oyster soup. It is something unique and not your usual choice in the menu. Why not try something new with your special someone? After all, I heard oysters are aphrodisiacs! If you want your soup hot, you have other choices like Onion soup, Cream of Mushroom or try another cold soup, the Cold Leek. Next is the Marinated Tomato salad. If you want your traditional Waldorf or Ceasar salad, then you can go ahead and order this. Chef Ben's goal is to serve the food at its most flavourful state, without drowning them in dressings and sauces. The Marinated Tomato was no exception. He just used a little oil/water based dressing with some spices to bring out the flavour of the marinated tomatoes and cucumber. 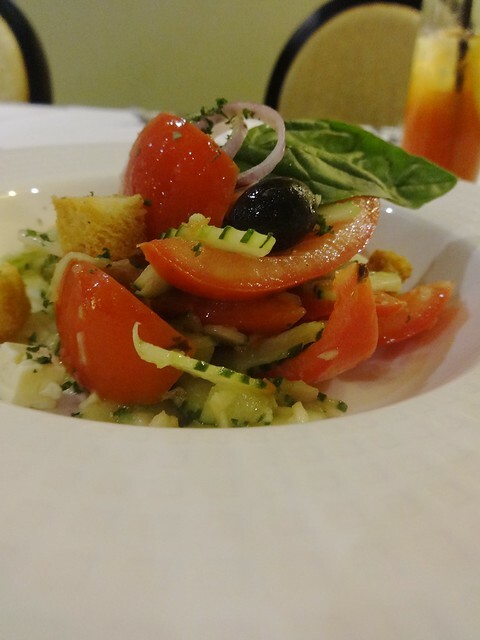 I am not personally a fan of cucumber, but the slices were thin and small and complements the tomatoes served. What a healthy start! Here is the top view of the Marinated Tomato salad. 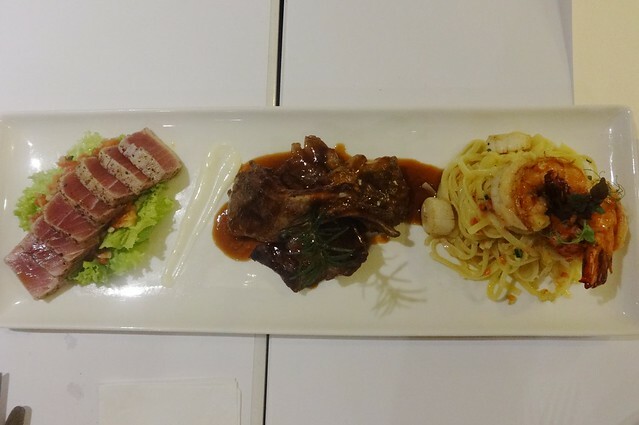 Next was the main course, the Trio for 2: Grilled Lamb and Beef, Shrimp Pasta and Seared Tuna. All the nutrients you need for the day out of the different food groups are covered in this set. The Seared Tuna's texture was perfect. It was heated a little to cook the crust that was seasoned with pepper. 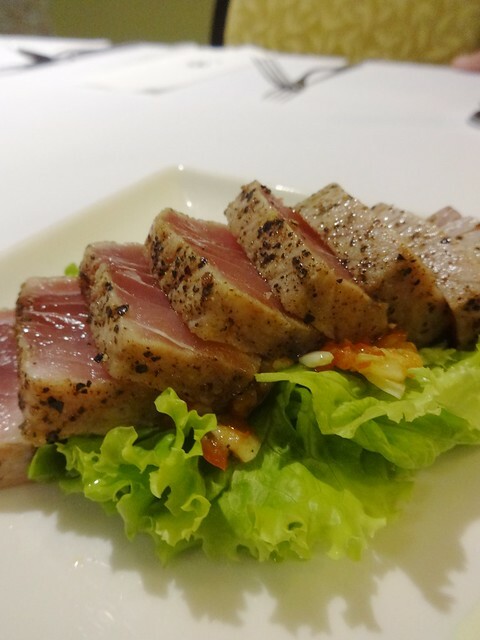 You can taste the great flavor of the tuna, and not just the seasoning. You get a very healthy dish, and we both got full without feeling really guilty! The oil based Shrimp Pasta was perfect to neutralize the palette. 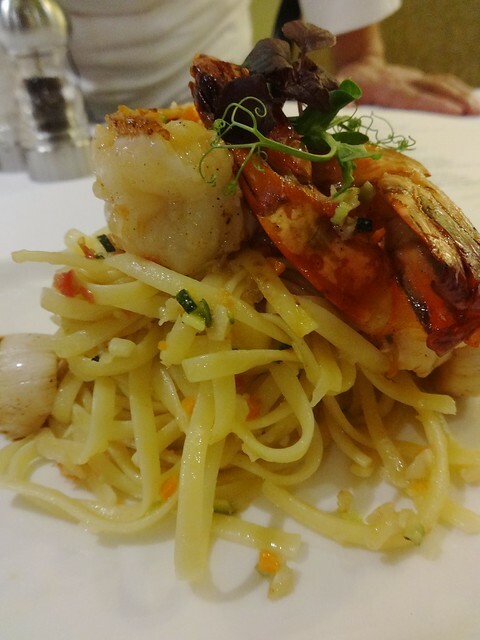 Chef Ben used olive oil, 2 pieces of healthy shrimp with scallops. I had a reaction when I tried the shrimp! I actually asked Chef Ben why the shrimp tasted really good - not bland, like all the flavor of the sea is intact. He said, that they just used a little salt with it. I think by cooking it simply, brought the true flavor of the shrimp. Matt knows I love oil-based pasta and he knows I was very happy with this! 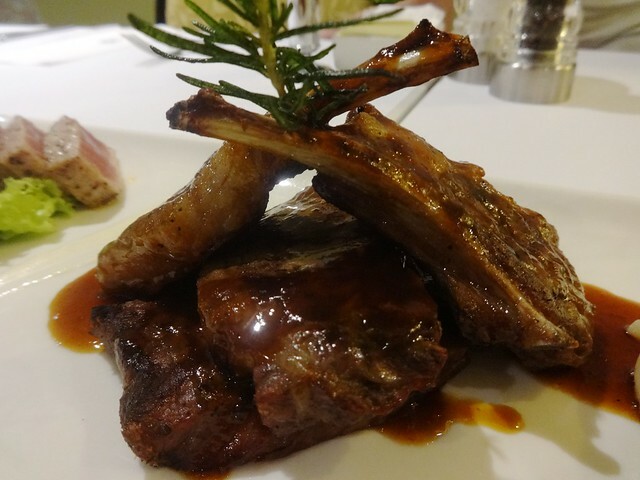 A pair of Grilled Lamb and Beef for each person! The set was fully balanced and is completed with your dose of meat. This is actually the only dish with more sauce and I really enjoyed eating them with the pasta that complemented each other. You can request your meat to be cooked in your liking, I like mine well done. Last but not the least, dessert - but I greeted Matt first a Happy Birthday. He is about to celebrate his birthday, the same day as Valentine's day. You have to try this dessert! It has all the ingredients to create a perfect Valentine dessert! First, we have the pure moist chocolate truffle with chocolate ganache - it is very dark and pure, again another aphrodisiac! 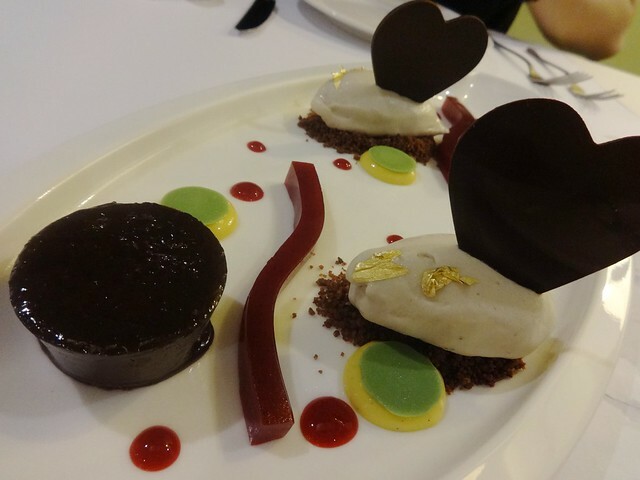 It is really good by itself, but to counter the richness of the dark chocolate, they served Banana Mousse with golden leaves (my favorite! 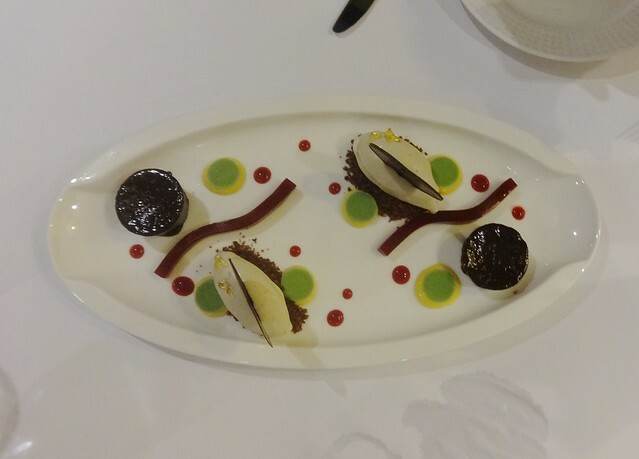 ), raspberry jelly and some mango and passionfruit cream topped with green tea chocolate disc. Taste each item one by one, and then feel the magic when you try to combine each one together! They also offer Tarts, Fruits ad Crepe Samuri as alternative desserts. I gave a lot of hearts to this meal, because it gave me a lot of it first! We really enjoyed our dinner. And even though our stomachs are full, we did not feel guilty because we ate a balanced healthy meal! I am inviting you to try The Terrace Valentine's Dinner at the Maxims! You can go to their website here, or call their hotline at +63 (2) 908-8833 or +63 (2) 836-6333 to know more details or make reservations. Have you been planning for an unforgettable dinner date with your partner? What could be better than a delightful meal with exquisite wines and romantic music all present as you share an exclusive space with your partner under the stars? And you don't have to worry because The Terrace got this all in a special offering on Valentine's day. Create your own romantic dinner by selecting your own love feast--from salad, soup, entrée, to dessert along with a drink of your choice and fine wine. You may choose to stay in a cabana or at the pool deck of the beautiful Maxims Hotel poolside for only PHP3000++ or PHP2000++ per person, respectively. For inquiries and reservations call The Terrace’s guest services at 908-7290. The Terrace is located at the 5F Maxims Hotel. 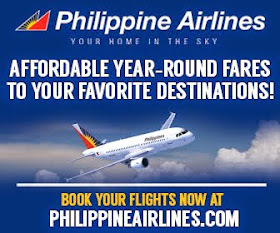 See more details at http://www.rwmanila.com/post/terraces-dine-under-stars#sthash.3NPDv1dc.dpuf.